Rare books are in demand at every Bookmans location and right now Bookmans Speedway has a treasure trove of rare gems to choose from. If you are a bibliophile looking for mind manna or an avid reader who happens upon a new favorite author, we can locate that literature. Add works to your collection like The Pirates of Oz* by Ruth Plumly Thompson. This pirate story was published in 1931 and has illustrations from JNO. R. Neill. Based on the grand tale of The Wizard of Oz, readers follow the buccaneers and the Gnome King who tries to wrest the kingdom from Ozma the happiest, loveliest region of Fairyland. Cruise the Nonestic Ocean and meet Roger the Read Bird, Pigasas the Flying Pig and Clocker the Wise Man. What makes this find so special is its rare condition and excellent form and a bargain at $50. This is only one title in our extensive collection. If modern works are your style, check out LOCAS: The Maggie and Hopey Stories by James Hernandez. An achievement of 20th century cartooning, LOCAS is a series of short stories, slice of life vignettes and graphic novellas collected from Love and Rockets that follow Hernandez’s heroines, Maggie and Hopie. This work is only $30, published in 2004 from Love and Rockets, Vol. 1, 1982 – 1998, and a true find from one of the rising stars in graphic novels. Looking for that Mind Manna? Bookmans Speedway has a limited edition 1938 copy of Zen and Japanese Culture by Daisetz T. Suzuki. Dr. Suzuki, born in 1870, is the leading exponent and interpreter of Zen in the Western World. His collection of essays examine Japanese Art and Life. Learn of little known traditions such as swordsmanship, tea ceremony, the relationship of Zen and Confucianism, Haiku and Japanese love of nature. 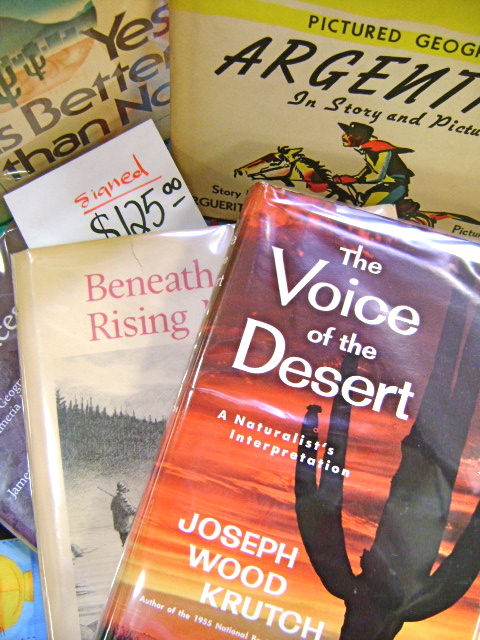 Look for more novel treasures at any Bookmans location and bring in the collectible books that no longer interest you. Maybe we can work a trade. * Bookmans can not guarantee stock. If you are interested in a specific title mentioned in this article, give Bookmans Speedway a ring at 520.748.9555. Bookmans is the place to browse books, but it’s a good idea to make sure the title is still on our shelves before you come in.